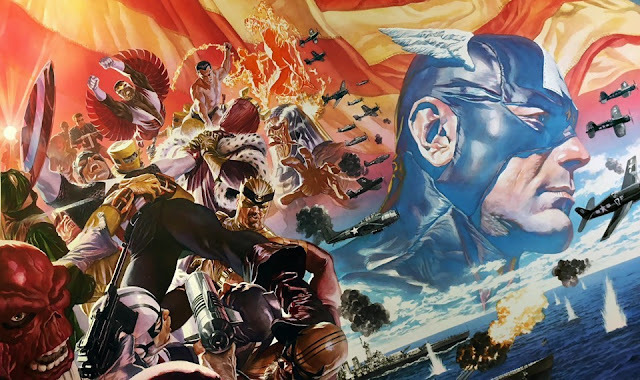 The Atlantic – "Why I'm Writing Captain America"
I confess to having a conflicted history with this kind of proclamation—which is precisely why I am so excited to take on Captain America. I have my share of strong opinions about the world. But one reason that I chose the practice of opinion journalism—which is to say a mix of reporting and opinion—is because understanding how those opinions fit in with the perspectives of others has always been more interesting to me than repeatedly restating my own. Writing, for me, is about questions—not answers. And Captain America, the embodiment of a kind of Lincolnesque optimism, poses a direct question for me: Why would anyone believe in The Dream? What is exciting here is not some didactic act of putting my words in Captain America’s head, but attempting to put Captain America’s words in my head. What is exciting is the possibility of exploration, of avoiding the repetition of a voice I’ve tired of." Janelle Monáe – "Make Me Feel"
If They Build It Who Will Come? "The Start of the Long Eclipse"